The April Mint Issue catalogue postal distribution will occur from 10 April 2019. We expect that all customers will receive the April Mint Issue catalogue by 15 April 2019. April product release will occur from 8 April. Please subscribe to the Mint Newsletter or check the Royal Australian Mint websites and social media channels for updates on product releases. With our popular mobile press in tow, get ready to strike an ‘S’ for Sydney on the 2019 The Bold, the Bad and the Ugly: Australia’s Wild Colonial Bushrangers Uncirculated Coin. This Royal Easter show exclusive product features ‘Brave’ Ben Hall, known as a ‘gentleman bushranger’, his gallantry, good looks and daredevil ways earned him public sympathy in New South Wales. The Royal Australian Mint (the Mint) will begin phasing out the Ian Rank-Broadley effigy of Her Majesty Queen Elizabeth II in 2019. The end of an era for Australian currency, the Ian Rank-Broadley design has been proudly included on the obverse of Australia’s coin currency since 1998, and was the fifth effigy of the Queen to be featured. 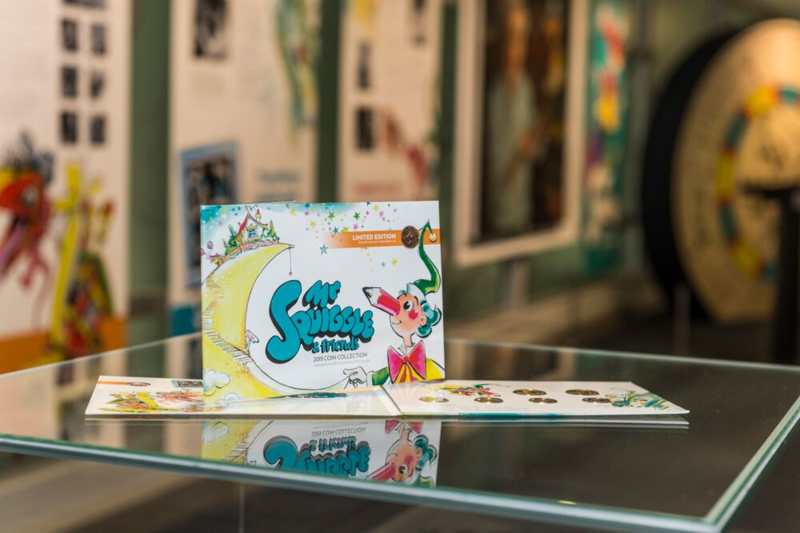 New exhibition ‘Mr Squiggle the Man from the Moon: Celebrating 60 years of Mr Squiggle and his creator Norman Hetherington’ opens to the public on Thursday, 28 February at the Royal Australian Mint. The Royal Australian Mint (the Mint) is commemorating 60 years of one of Australia's most loved TV characters, Mr Squiggle, with the release of limited edition coins in Woolworths supermarket registers from today. The United States Mint (Mint) announced today a collaborative project with the Royal Australian Mint. The two Mints will produce a commemorative coin set in celebration of the historic Apollo 11 Moon landing on July 20, 1969. The set will feature a U.S. Apollo 11 50th Anniversary Half Dollar paired with an Australian 50th Anniversary of the Moon Landing $5 Silver Proof Domed Coin. Today history was made at the Royal Australian Mint (the Mint) when one lucky coin enthusiast received the first coin in the world for 2019.